Renovating or remodeling the kitchen could be one of the most expensive projects in your home renovation. Another substitute to freshen up your kitchen is to paint your kitchen cabinet with some other touch ups in the kitchen. Our team of Kitchen Cabinet Painting Brampton knows how to cater to the needs of a homeowner who might be having certain budget constraints. Painting your kitchen cabinets is more than just applying two costs of paint. Our Kitchen Cabinet Painting GTA team has got the experience and expertise and we have been successful in making our clients happy and satisfied the work we had always left behind. 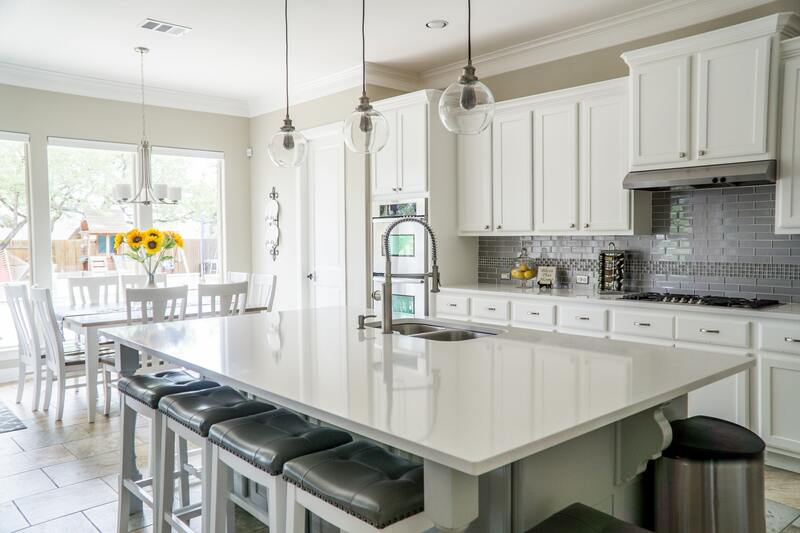 Over the past years, kitchen cabinet refinishing has been more in demand and homeowners have often been seen making bold color choices for their kitchen cabinet painting. Our Kitchen Cabinet Painting Vaughan team will not only provide you with the painting services but will also help you to select the right color which goes together with the whole interior of your kitchen. 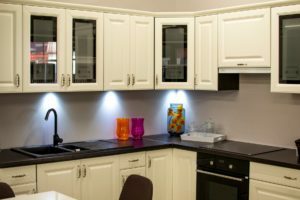 Our contractors at Kitchen Cabinet Painting Richmond Hill have always emphasized the importance of kitchen cabinet painting a cost-effective way, rather than changing the entire cabinets. The very first step prior to painting is to thoroughly clean the cabinets. Kitchen Cabinet Painting Brampton team knows the importance of following all the steps prior to painting. Cleaning the kitchen cabinets will provide a clean surface to work on without having any dirt or grime on it. 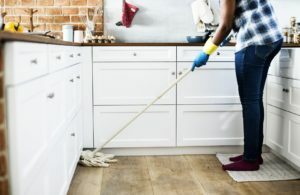 There might be buildup collected in years on your kitchen cabinets. 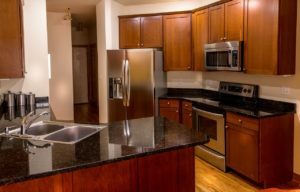 We use modern techniques, effective cleaning products and tools to clean up the kitchen cabinets. In this step, Kitchen Cabinet Painting GTA team make sure to sand all the kitchen cabinet surfaces and to properly prep the kitchen cabinets for the next step. The experience that our team of Kitchen Cabinet Painting Vaughan has acquired has made us the masters of our field and by the completion of the project you can see a significant difference by hiring a professional. In this step, we prime the kitchen cabinets and the very main benefit of using a primer is that it seals the surface of the kitchen cabinets and bond really well with wood and paint to prevent rubbing off when cleaning and while using them. Selecting the right primer is also very important in the longevity of the paint job. Our Kitchen Cabinet Painting Richmond Hill contractors have always guided the workforce on how to work on stained kitchen cabinets. How they should be primed before painting, preferably with two coats as per the condition of the kitchen cabinets. We make sure that even the painted cabinets should be primed unless they were primed before and the paint is in good condition. We know what will be the best for your kitchen cabinet painting, using latex primer or the oil based primers. We have always tried to take our client suggestion, the type of material which we will use in our kitchen cabinet painting projects. Another very important benefit of using a primer prior to the paint job is that it will give a very smooth finish, and if the foundation is smooth the end result will also be smooth. In this last and final step, we start applying paint to the kitchen cabinets. We make sure to use good quality materials in all our Kitchen cabinet painting projects. Using good quality materials will not only benefit our clients to have their kitchen cabinet paint to last a pretty long time but it maintains our reputation as well. Selecting the right color of paint is also another very important step. We do give our expert advice to our clients which color scheme they should go for according to their kitchen interior. 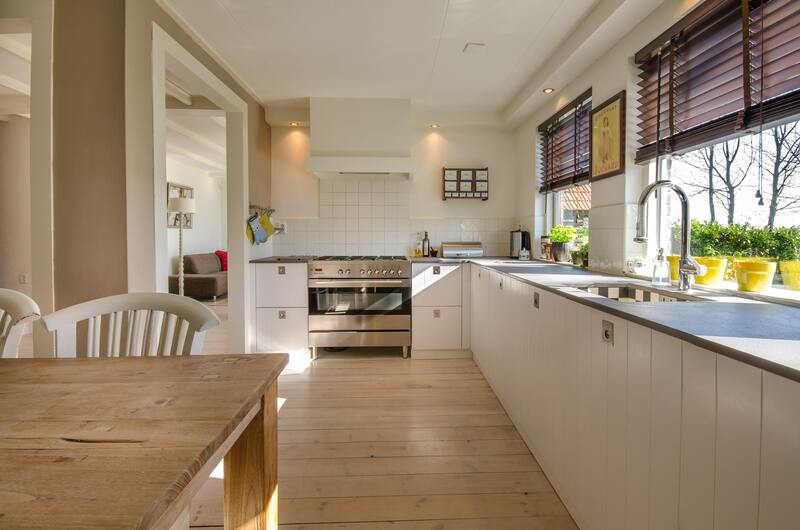 There are several different factors which might affect the appearance of your kitchen. Like for smaller kitchens lighter color will help them to look bigger and dark colors will work better for big kitchen. In the same way, using the best contrast of color will revive the life back in your kitchen. The very first benefit of painting your kitchen cabinets is that you can complete the whole project with a fraction of the amount you will need to change the whole set of cabinets. Painting and refinishing your kitchen cabinets will allow you to have the same layout with the same storage options. Another benefit of painting your kitchen cabinets is that it will keep your kitchen turning into a demolition zone. Whenever our team of Kitchen Cabinet Painting Richmond Hill has taken over a project we had made sure that to prove through our services that a simple coat of paint can make such a difference in the appearance of your kitchen which will surely give our clients a real surprise. Our clients have always been amazed at the dramatic change they get from painting or refinishing the existing cabinets. Contact our team of Kitchen Cabinet Painting Vaughan if you are planning your kitchen cabinet painting.